Exports of medical cannabis oil from Canada had a breakout year in 2017 – and executives say it is just the start for a massive new overseas market. 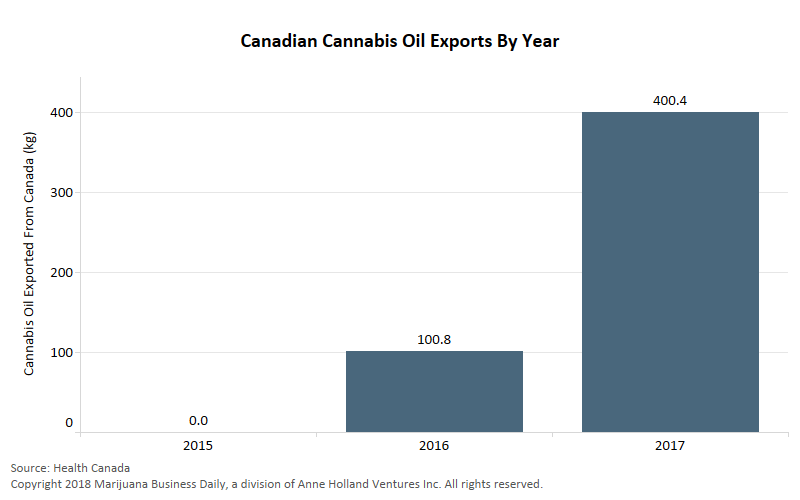 Medical cannabis exports in oil form rose 300% from 2016 levels, according to data shared with Marijuana Business Daily by Health Canada. Analysts expect this trend to continue as countries legalizing medical cannabis look to imports to meet demand in lieu of domestic cultivation. “Countries like Malta have outright banned smoked forms of medical cannabis from being permitted within their legislation,” noted Deepak Anand, vice president of government relations for the consultancy Cannabis Compliance. In 2016, 100.8 kilograms of cannabis oil were shipped overseas. That jumped to 400.4 kilograms in 2017, as more countries legalized MMJ. Oil allows for different forms of administration by patients. Oil is easier and cheaper to transport overseas. Many countries limit the form of medical cannabis that can be used, but oil is broadly allowed. Germany, which is on track to become one of the world’s largest medical marijuana markets this year, imports more MMJ from Canada than any other country in lieu of domestic cultivation. And that’s not expected to change any time soon, as a German court slammed the brakes on the country’s domestic cultivation plan in late March. As a result, exporters from Canada and the Netherlands will have an even bigger head start over domestic production. 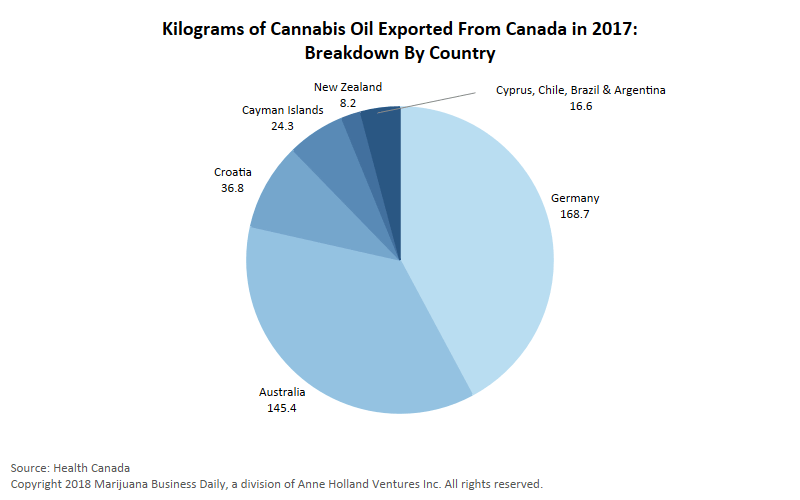 Germany took in 169 kilograms of medical marijuana oil from Canada in 2017. That was followed closely by Australia (145 kilograms), Croatia (37 kilograms) and the Cayman Islands (23 kilograms). Canadian medical marijuana is already accessible by most of Germany’s 20,200 pharmacies from suppliers like Aurora, Tilray, Cronos, Maricann, ABcann, CanniMed (now owned by Aurora), Nuuvera (now called Aphria international) and MedReleaf. In 2016, 64 export permits were issued for cannabis oil products. The following year, that almost doubled to 114 export applications. No medical marijuana was exported in 2015 under the former Conservative government, which did not share the pro-cannabis views voiced by current Prime Minister Justin Trudeau. Canopy Growth’s Jordan Sinclair said oils can be used as a tool for destigmatizing cannabinoids by shifting the conversation to a language doctors speak. “In new markets where doctors have limited exposure to medical cannabis prescribing, this paradigm shift can go a long way,” he said. 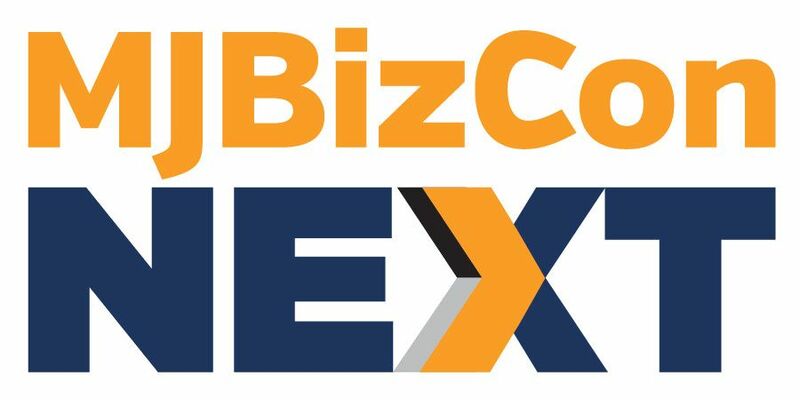 Aaron Salz, founder of the Stoic Advisory consulting firm in Toronto, says a large export opportunity exists because other countries are modeling their programs after Canada. Great story. Ur Cannabis Guru OGMANKIND here. Best “growth ” potential public companies please..